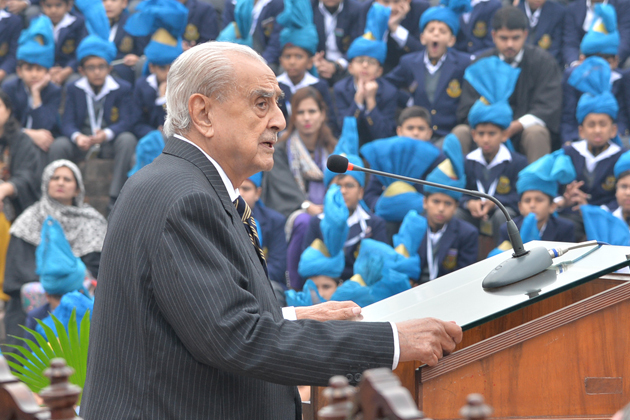 Syed Babar Ali graced this special assembly with the whole school in attendance. He was given a rousing reception before speaking to the boys and providing mementos for staff who had served thirty-plus years. Morning tea was held at the Principal's bungalow afterwards with ACOBA members and senior staff in attendance.